Public and private organizations are ramping up efforts to increase boater awareness of state safety guidelines as boating season and National Safe Boating Week begin. In 2011, boating accidents reached a 10-year high, underscoring the need for easier access to boating safety courses and other educational materials. “We monitor the boating industry year round, and with warmer weather comes the increased potential for boating accidents. Education and awareness are key factors in preventing accidents. The purpose of any boating safety course or training material is to prepare boaters for a variety of scenarios in and out of the water,” said Kurt Kalkomey, president of Kalkomey Enterprises, Inc.
Boating safety courses are available year round, however, spikes in course registrants are typically observed in early spring and summer. All boaters are encouraged to take a course, regardless of state requirements, before taking to the water. Boat Ed, a branch of Kalkomey Enterprises, Inc., also offers official, state-specific boating e-books that cover boating laws and safety information. These e-books are available at http://bookstore.kalkomey.com/collections/boating. Most recent data from the Coast Guard details 4,588 accidents in 2011, including 758 fatalities and 3,081 injuries. The majority of these accidents occurred from May to September, with 77 percent of the reportable incidents for the year. July remained the month with the single highest number of accidents, with 1,215 reported, an increase from 1,140 in 2010. Of the fatal boating accidents involving drowning victims in 2011, 84 percent were not wearing a life jacket. The National Council for Safe Boating is among several organizations leading initiatives for boating safety education and to curb accident statistics. National Safe Boating Week will be held May 18-24, 2013, with events coordinated across the country. One of the highlights of the week is “Wear Your Life Jacket to Work Day.” The campaign hopes to be a firm reminder of basic safety measures. Several states with education and license requirements also have age requirements for life jackets. The online boating safety courses offered at boat-ed.com outline the specific conditions for each state. In some states, boaters as young as 12 can legally operate a personal watercraft if they complete a boating safety course. “More young people are earning boating certifications as they reach their state’s age of eligibility. 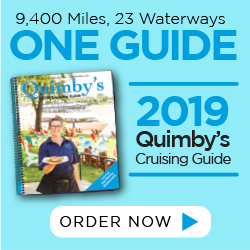 Parents are a big part of this trend, and it is encouraging to know that boating education is an increasing priority,” said Cindy Kalkomey, Ph.D., vice president of product development for Kalkomey Enterprises, Inc.
To take a state-approved boating safety course, visit www.boat-ed.com. You also can learn more about Safe Boating Week by going to www.safeboatingcampaign.com.